As a dog trainer, former Humane Society trainer, and someone who participates in dog sports that require advanced training skills, please consider featuring Karen Pryor, Virginia Broitman, or even Virginia Stilwell instead. Cesar uses outdated punishment-based techniques that are based on experience vs. science and are considered by many to be ridiculously dangerous (see the alpha pinning photo above), ineffective, and unnecessary. Daily, I encounter people who are extremely harsh toward their animals and they quote Cesar Milan to me. I’m exhausted, sad, yet steadily employed because of him. Even if I *were* to use mild punishment, to teach this to the general public reinforces a tendency to justify extreme punishment of their animals because they reason that either the dog isn’t listening or is more stubborn than most. Sure Cesar is cute and charming, he is, however (and in my opinion) not much more than a marketing machine. He cannot answer questions about Pavlov, Operant Conditioning, Extinction Bursts, Generalization, Proofing, Intermittent Reinforcement, Constructive Aggression Treatments, etc. and why those principles are important. The American Veterinary Board does not support him. Thankyou Mr. Millan for the dedication towards the dogs. God Bless. Cesar is phenominal, I watch him every friday. What he does is great not only does he helps people with their dogs, he also trains the owners. You have so many people owning dogs and they don’t know what to do when it comes to training their dogs. Than you have those who think they know how to train dogs. But by having cesar on cable showing and assisting people on the how to, it makes it better for the dogsand the people who own them. To all those haters you have your opinon. But quess what people are watching. I love him for his work. I’m even thinking of becoming a dog whisperer. Thankyou Mr. Millan for the dedication towards the dogs. God Bless. Oh my god i love Ceasar Millan! The guy is phenominal! Cesar has made a difference. As stated even for some who will never understand what it is he can do for a dog. The owners benefit because his applications can be used on a broad spectrum. In other areas of life. When you see the argument that Cesar uses outdated methods you can be sure that person has only seen a snipet of what Cesar does. 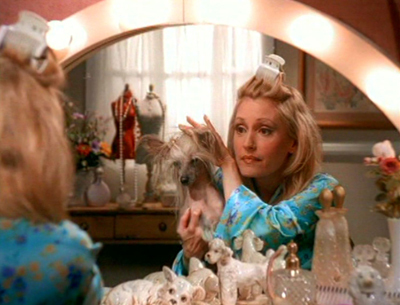 7 Seasons of the show will have included someones dog question I’m pretty sure. Even Cesar doesn’t expect everyone to agree with him 100%. Junior,his Pit Bull is beautiful.R.I.P. Daddy. 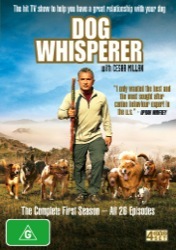 I really like the dog whisperer. I watch his show every chance I get. His shows help me to see what someone or I need to do when I get my dog. I love Cesar Milan, maybe one day we can meet up and go for some coffee or maybe go to seaworld or maybe a zoo! 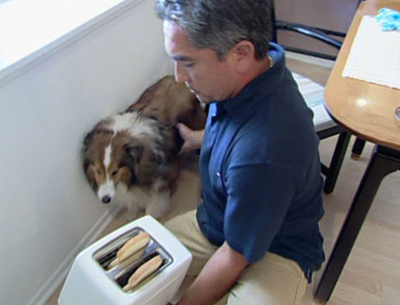 I don’t have a dog but I love Cesar Millan to bits. He’s so HOT. I love his calmness, his charisma, his beautiful smile and just everything about him!! !